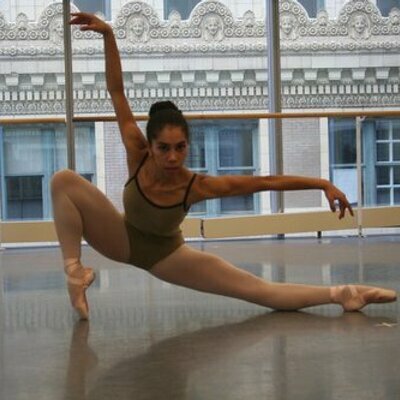 Elizabeth Mensah joined Ballet Memphis after dancing as a trainee with the Joffrey Ballet in Chicago. This is her third season as a full Company member following two as a trainee. 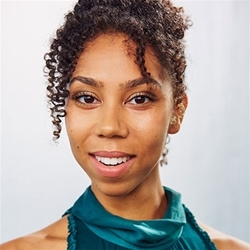 With Ballet Memphis, she has danced many roles including Reggie Wilson’s I Am A Man, Steven McMahon’s I Am, Julia Adam’s The Second Line and as the Stepmother in Steven McMahon’s Cinderella. She has performed roles in Petr Zahradní?ek’s The Hurdle Runner and Night and Day in FedEx City, in Julie Niekrasz’s Corps de Fortitude, and Rafael Ferreras’ Politics. From 2011-12, she was a part of the Company’s Connections: Kids outreach program. In 2012, she was a dancer/mentor in the Urban Bush Women Summer Leadership Institute in New Orleans, as well as a recipient of a 2012 Emerging Artist Grant from the Jeniam Foundation. Elizabeth studied at the Joffrey Ballet School in New York City on full-merit scholarship and in the trainee program at the Joffrey Academy of Dance in Chicago. Elizabeth is a certified STOTT PILATES® instructor with the Pilates Centre of Ballet Memphis. She is from Chicago.